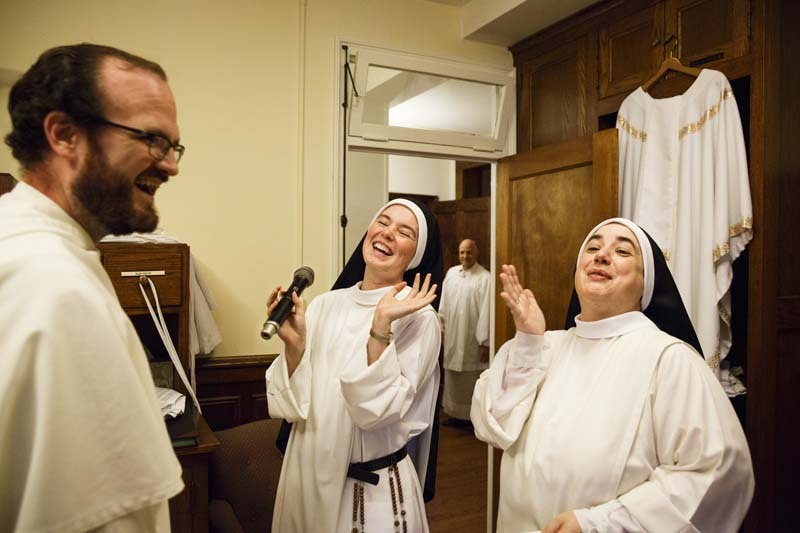 Sister Maria Teresa (center) and Sister Mary Catharine (right) joke around as excitement builds for 28-year-old Sister Maria Teresa�s Final Profession ceremony. Final Profession is the second of two ritual ceremonies that will seal her commitment to God. Within the ceremony she will receive a simple gold wedding band as symbol of her vows and final commitment.